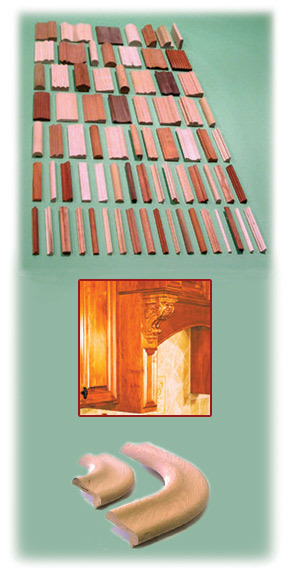 We manufacture the highest quality wood mouldings in the world. Our extensive Traditional Collection in Poplar, Cherry, Red Oak, Hard White Maple and Mahogany is available for immediate shipment. We are also beginning to add some walnut profiles to our Traditional Collection. Our Designer Collection mouldings are special order but can ship in as little as 2 or 3 days and, in virtually any species. New profiles are being added continually. Pricing depends on total lineal feet. We have a complete line of Corbels, Rosettes, Plinth Blocks & Keystones Introducing our new Radius Bar Rail Corners. Looking for something special? We can match any profile and we can custom design your profile. Our CNC department can make or match any profile in radius. Factory pre-finishing is available on any order. New! Need the exact size of our world class mouldings? We know offer a detailed catalog of our Traditional Collection. 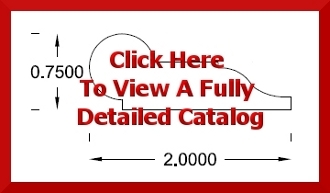 Click on the image below to open your very own copy!